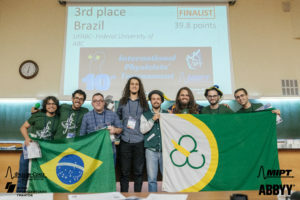 The IPT started for Brazil when 6 students from the Federal University of ABC (UFABC) located in Santo André, São Paulo, started researching the problems in September of 2016. 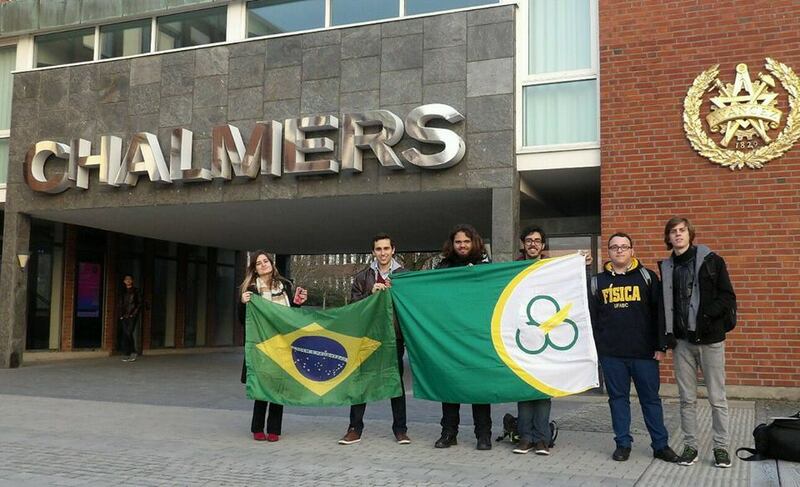 Once gathered by the enthusiasm of bringing a new prespective to Brazil’s educational scenario, the team worked hard during months to prepare the presentations that took place at the 9th edition of the IPT in Gothemburg, Sweden, from April 8th-13th. Since they’ve returned from this incredible life-changing experience, another part of the tournament began. What united and motivated them was the possibility of showing to the entire country its potential in Science. This is why, since then, the team has been working on transforming the scientific development obtained during the researches for the tournament into publications in magazines and YouTube videos that will serve as a mean to spread science throughout the entire country. And also, to engage more students into becoming physicists or lovers of the natural sciences, the participants will assemble and diffuse the word in schools of the ABC region in São Paulo as a starting point. Continuing the hard work since 2017, the Brazilian Team continued to push its limits further and further, both theoretical and experimentally. In 2018, these efforts guaranteed the 3rd place at the tournament, and it is the first time a non-european country ever took place in a final. We also understand our role as not only participants in a competition, but as Science-spreading people, who are now working continuously to bring Science to as many people in Brazil as we can. With an extension project “How Physics can change the world”, articles in the Emergent Scientist magazine and many more productions, we are building not only results from the competition, but a legacy with our science-spreading actions.